"I remember playing The Legend of Zelda: Link’s Awakening12 on my Game Boy as a child, but I hadn’t played any games in the series since. 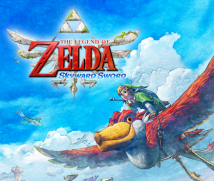 When I heard that I would work on The Legend of Zelda: Skyward Sword, I wasn’t sure what to think. But playing this game was so amazing that I instantly became a fan." 12The Legend of Zelda: Link's Awakening: The first game in The Legend of Zelda series for the Game Boy system released in June 1993 in Japan. In December 1998, the remake The Legend of Zelda: Link's Awakening DX was released in Japan for the Game Boy Color system. This comment is from the translator who was in charge of German. "One appealing aspect of The Legend of Zelda: Skyward Sword is that it’s a return to the origins of the series. It departs from the mould set by The Legend of Zelda: Twilight Princess13 for a welcome change and is worthy of the crown of The Legend of Zelda." 13The Legend of Zelda: Twilight Princess: An action-adventure game released for the Wii console and Nintendo GameCube system in December 2006. The extreme simplicity is linked to a return to the origins of the series, giving birth to a newness that is similar but different. As we return to the issue that arose earlier about why you could pull off such a revolution, I would like the game’s director, Fujibayashi-san, who has been present as an observer, to participate. So, Aonuma-san, what is behind the revolution this game represents? That’s not easily summarised, but everything that has accumulated until now and the influence of Fujibayashi-san’s personality as director are both important. Where did the game begin accumulating things from? A series with a tradition behind it can’t avoid that kind of complication. I’ve always felt that, and after we made Twilight Princess, I assumed an objective position as producer of The Legend of Zelda: Phantom Hourglass14 for the Nintendo DS system and made all sorts of unreasonable requests with regard to that to Fujibayashi-san, who was the subdirector. (laughs) 14The Legend of Zelda: Phantom Hourglass: A stylus-controlled action-adventure game released in June 2007 in Japan as the first title in the Legend of Zelda series for the Nintendo DS system. Yes, I did get a lot of unreasonable requests. (laughs) And that led to Skyward Sword. I think your circumstances this time were like those of Miyamoto-san during Super Mario 64.15 At the time, Miyamoto-san chose, from among all the various ways of making Super Mario games, what to leave in, what to throw out and what to add. Everyone still talks about the shock of that, and the game has demonstrated certain methods for all the 3D games that followed. The Legend of Zelda franchise has done the same thing with Ocarina of Time. 15Super Mario 64: The first 3D action game in the Super Mario series. Released for the Nintendo 64 system in June 1996 in Japan. The remake Super Mario 64 DS was released for the Nintendo DS system in December 2004 in Japan. You’ve been making 2D Legend of Zelda games for a long time. On the basis of that experience, you attempted your first 3D Legend of Zelda this time for a home console. With the know-how that has built up over the years and expert staff members - and Aonuma-san and Miyamoto-san as well - it was the best environment for developing a 3D game, and I think you must have experienced the same thing that Miyamoto-san did back then. Yes. I really was blessed. I’m quite jealous. I can’t experience that anymore. I really don’t know what to do! (laughs) For the next one, if we will build on the methods we established this time, we might end up getting into a rut. That’s difficult. I’m thinking about the next game, too, and I feel like the hurdle is really high. But there is a lot left that we didn’t do this time. You have limited time and people, so there’s bound to be something left over. But five years is a long time. (laughs) Can’t you do it in three years next time? Sorry, I’ll think of something that can happen in three years! You must be surprised to hear all these great comments today, are you blushing? What is it? Go ahead. When I’ve made games, I’ve always thought, “Why is it that Miyamoto-san’s games sell for 10 or 20 years?” What I thought was that Miyamoto-san’s games are about intuition rather than culture. To make an extreme example, the exciting points would be the same for cavemen as it is for us who’re in the present. You don’t need linguistic or cultural knowledge. Earlier, we heard from someone overseas who said that the game could be enjoyed even without understanding Japanese, and I thought, “Oh, have we been able to make it so that people can play with intuition?” It was entirely uncalculated to me, but I feel like Miyamoto-san’s genes, cultivated throughout the 25 years of the history of The Legend of Zelda unexpectedly generated a landmark with this title that took back from the origins of the series. When Miyamoto-san made Ocarina of Time, it involved packing contents into a much smaller box than we have today, and he must have wondered how to do it, so lots of knowledge and innovation were necessary. This time, you were able to pour lots of energy into how you could be considerate toward the player. Meanwhile, the two of you established an incredibly simple structure and packed in depth, volume and variation. Doing it that way opened a new frontier. 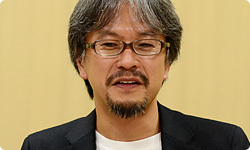 Aonuma-san, what did you think today? I keenly felt how lucky I am. I’m lucky to have kept working on The Legend of Zelda all these years, and I think I was able to hit upon an answer together with Fujibayashi-san and Miyamoto-san for a challenge we had been thinking about for a long time. And this isn’t the end. Rather, I feel like we can keep moving forward. It isn’t good to rely on luck or chance, but that’s how I feel. Aonuma-san, that’s important. Nothing happens by chance. No matter how much you plan, there is no guarantee. You plunge ahead toward what you can’t see, and results are born of a mix of what turns out as planned, what doesn’t - and the unexpected. Making games all this time, I’ve experienced that to a certain degree, but I can say that the synergy this time was greater than I had ever experienced before. Frankly, I think what you mean to say is “We made something amazing!” (laughs) Aonuma-san, you are a lucky person. Thanks to the powers in the sky. Aonuma-san, Fujibayashi-san, and everyone who provided us with comments this time, thank you. 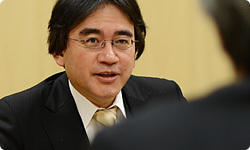 “Iwata Asks” about The Legend of Zelda: Skyward Sword is complete for now. Thank you very much.